IAFP Awards - nominations due July 1! White Sox Game - July 13 - order tickets by June 13! Order your Foundation Fundraiser Sox game tickets by June 13! The game is Friday July 13 at 7pm - and means baseball followed by a fireworks show! Each ticket you purchase is a $10 tax deductible donation to the Family Health Foundation of Illinois, which supports IAFP student and resident activities and Tar Wars. Click here for information and to order your tickets by June 13! Join with women members in Chicago's west loop for a live networking event! Connecticut family physician Kathy Mueller, MD will share an uplifting presentation to combat physician burnout. You'll reignite your joy and have a "ladies night out" with your fellow women family physician leaders. $25 for active members, $20 for residents and $15 for students. Learn more and register today! Is your practice fully or partially Urgent Care? What challenges and opportunities are you facing in your practice? Managing volumes? Expanding your procedural skill set? Personal leadership development? Join our developing Urgent Care member interest group to share best practices and challenges. Inspired to join? Email Vince, [email protected] by August 10 as we only need one more Active member to join to send to the board for approval at their August meeting. IAFP Awards nominations are needed by July 1. Learn more here. We need your nominations for Family Physician of the Year and the Teachers of the Year - use our easy online forms! The Student Scholarship Application is open. Click here to learn how you can support an Illinois student to attend this pivotal conference. 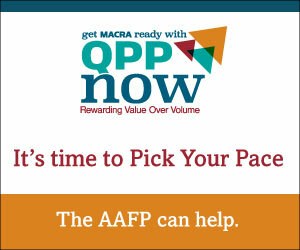 The ABFM invites board-certified family physicians to enroll in PRIME Registry free for the first three years! PRIME not only simplifies quality reporting for payment programs such as MIPS and CPC+, but also allows you to better evaluate aspects of your practice, patient groups, and individual patients, illuminating gaps or successes in patient care. Learn more here. SB 2332, which would raise the age to purchase all tobacco and nicotine delivery products from 18 to 21 only amassed 56 out of 60 "yes" votes needed to pass on Tuesday. Rep. Camille Lilly requested postponed consideration and on May 30, the bill passed with 61 votes. You can view the vote here and thank your represenative if he or she voted yes! Meanwhile, you can link to an update of other bills that IAFP supported that passed both chambers and now go to the Governor for his signature. Topics include Medicaid, to asthma to HPV vaccines and lactation rooms in public buildings and more. 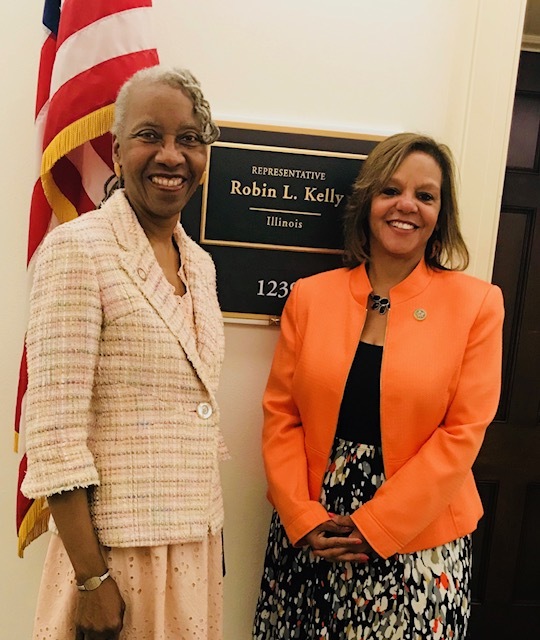 IAFP leaders and Key Contacts were in Washington, DC representing you and meeting with members of the Illinois Congressional Delegation during the AAFP Family Medicine Advocacy Summit May 21-22. 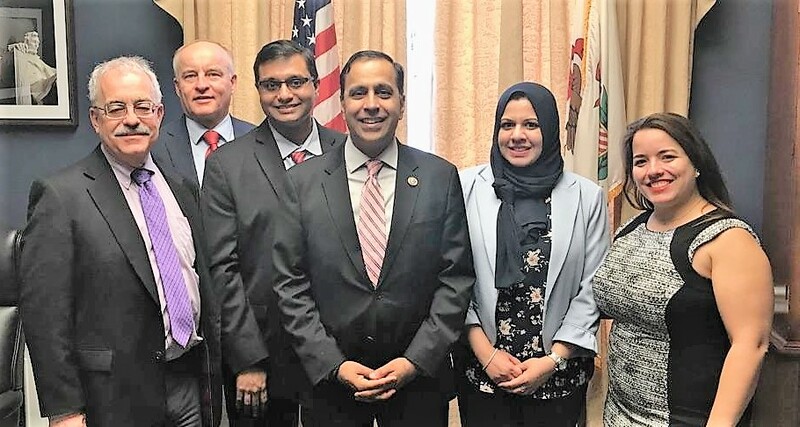 Congressional Primary Care Caucus (2 page PDF) Rep. Peter Roskam said he'd join. Rep. Mike Quigley may, as well. 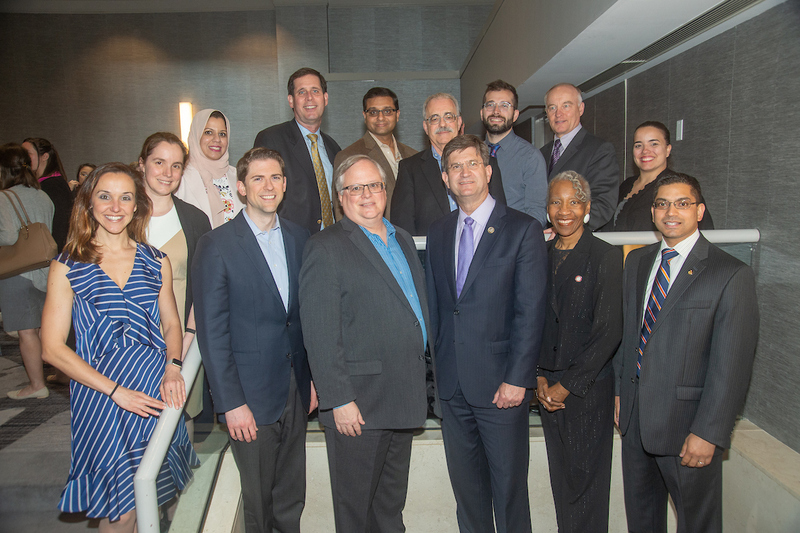 Standard Primary Care Benefit in High Deductible Health Plans (2 page PDF) this is co-sponsored by IL Rep. Brad Schneider, who was the keynote at the FamMedPAC reception and met with the Illinois members, too. Support Opioid Crisis Solutions (2 page PDF) just like in Illinois, there are more than 14 bills on the Hill dealing with opioids because everyone wants to "do something" but there's no definitive leadership or "coalescing" around any one direction or specific bill. Accreditation: The Illinois Academy of Family Physicians (IAFP) is accredited by the Accreditation Council for Continuing Medical Education (ACCME) to provide continuing medical education for physicians. Credit Designation: AMA PRA Category 1 - The Illinois Academy of Family Physicians/Family Practice Education Network designates this live program for a maximum of 1.0 AMA PRA Category 1 credit. Michigan AFP invites you to Kalamazoo! MAFP extends a warm invitation for all IAFP members to attend the 2018 Michigan Family Medicine Conference & Expo, July 12-15 in Kalamazoo. IAFP members can register at in-state rates by submitting the hard copy registration form in the pre-conference program booklet. Save when you register before June 10! And don't forget to reserve room at the Radisson Plaza Hotel located downtown Kalamazoo. Conference Highlights include 21 sessions, 19.25 AAFP Prescribed Live Credits plus T2P and KSA Live Credits, and great fun in West Michigan! The vaccine consortium will be a method to make certain that CHIP-eligible children can be vaccinated cost-effectively by your practice without referring them to other providers. This consortium is open to all providers. Email [email protected] or call 217 522-5687 and ask for Walt Howe or Phil Talley. The Consortium will provide pediatric vaccines for CHIP-eligible children on a consignment basis. In addition, the consortium will be able to offer great pricing on other vaccines and medical supplies through trinushealth, a physician buying group. View a flyer with more information. And when our patients "Choose Wisely" and get care from a PCP the evidence shows that access to primary care helps people live longer, healthier lives... So even when the days seem long, and the paper work feels endless- know that the impact that you make on your patients' lives is immeasurable. Please keep doing what you do and pushing forward and remember #Health is Primary. Amy Swift-Johnson MD FAAFP is the recipient of the Leonard Tow Humanism in Medicine Award presented by the Arnold P. Gold Foundation, given annually to a faculty member who exemplify integrity, excellence, compassion, altruism, respect, empathy, and service, at Rosalind Franklin University Chicago Medical School. She was recognized at the Commencement Award Ceremony for Chicago Medical School on Thursday, May 31st, 2018 at Navy Pier. IAFP members Kathleen McDonough, MD of PCC Wellness in Chicago and Jeffrey Ripperda of Murphysboro were both featured in a Crain's Chicago Business special report examining the Illinois Opioid abuse treatment issue, and the difficulty in accessing Medicaid Assisted Treatment, particularly for the Medicaid population. Read the article here. Congratulations to IAFP Past President Janet R. Albers, MD chair of family and community medicine at SIU School of Medicine, and recipient of the 2018 Golden Apple Award for Excellence in Teaching.